If you see a contest for a free guitar, strings, amp or anything else related, post a link here. Also if you have a favorite freebie app, like a tuner or metronome, post the download link here. This is Yosef with Massive FX Pedals in Los Angeles, CA. We are a pedal builder with a passion for heavier fuzz and treble boosters hand-built with the right parts, yet reasonably priced. The 1st 2017 production run of each of the 6 models is limited to 50 hand numbered pedals. We are giving away a new G.O.A.F. pedal away. If you have any questions about any of our pedals let me know. The G.O.A.F. 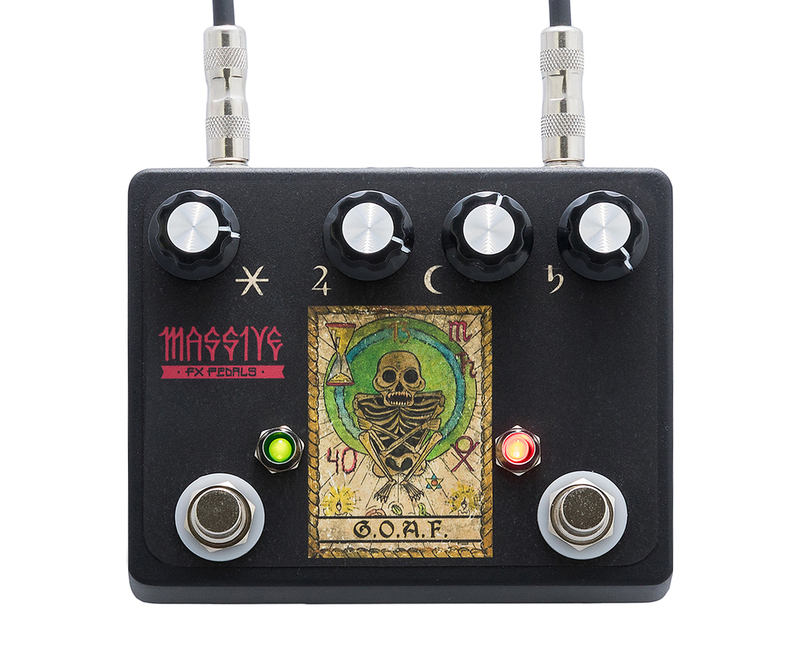 (the Golden Order of the Alchemist Fuzz) is a hand-wired dynamic heavy fuzz with massive “buzzy/trebly” tones imparted by NOS AC125 and Russian Germanium transistors and a vintage octave up effect. The G.O.A.F. circuit is our take on the legendary Baldwin Burns Buzzaround fuzz with a twist. Hand-selected components and extensive listening to each component yields one insane Kung Fu Fuzz Master. If you’re looking for a typical fuzz, go elsewhere. The G.O.A.F. aspires to reach insane-o-matic heights. Dual Footswitches: Right footswitch (Red LED) turns Fuzz on/off; Left Footswitch (Green LED) turns Vintage Octave on/off. Vintage Octave can be used without the fuzz. Note if you are only using the Vintage Octave the Master Volume will not adjust Master Volume without the Fuzz footswitch on as well. The G.O.A.F. Fuzz is the first of several Massive FX Pedals releases planned for 2017. Upcoming models will feature classic designs with modern features. All component and design decisions are based on tone with emphatic disregard for cost or compromise resulting in stunning tonal excess. 100% Analog in design, several models utilize rare NOS vintage components such as AC125 and OC44, and hand matched silicon transistors. High-end components such as Lumberg “enclosed” input/output jacks and Potentiometer dust caps for years of noise-free operation. Each pedal’s inside back plate is hand numbered by former “The Simpsons” cartoonist/artist Tom Winkler in debut versions of Massive FX Pedals. Pricing for the G.O.A.F.™ Triple Transistor Fuzz/Octave is $249.